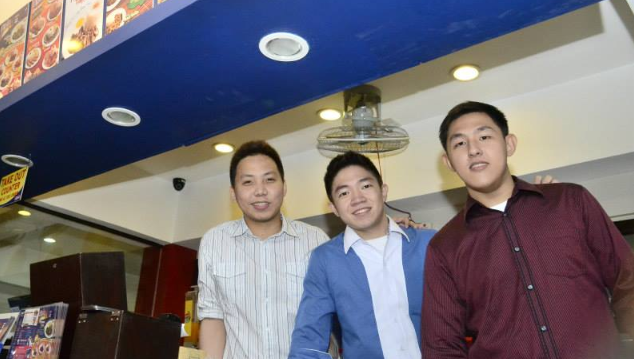 Meet today's youngest and best-performing franchisees of Rufo's tapa joint. What happens when three friends decide to go into business? Florencio Palce, Bryan Pua, and Janssen Wong found out two years ago when they bought a Rufo’s franchise and became the brand’s youngest and best-performing franchisees to date. It was a Rufo’s newspaper ad, coupled with prodding from Palce’s mother, that started it all. “I kept telling myself that, one day, I’m going to have my own branch of Rufo’s,” recalls Palce, who convinced Pua and Wong to join in. They decided on a location near the University of Santo Tomas (UST) in Manila given that Wong and Palce are alumni, plus they know the area and the market by heart. “Students love to dine out, especially when there are events. 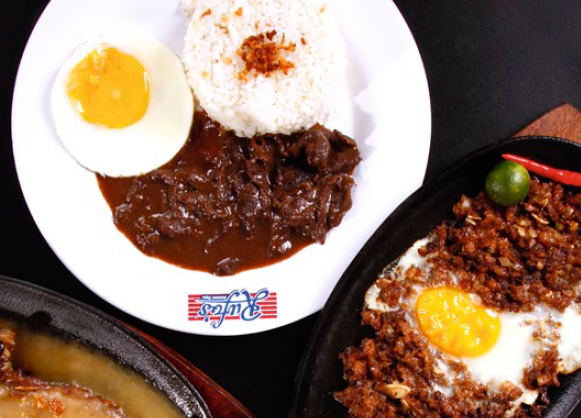 We felt that the Rufo’s concept—fast-casual, affordable food, good ambiance, great service, and 24/7 operations—would click there,” adds Pua. Luckily, they found a place across the campus. “This was a really great opportunity that opened up for us, given that it’s hard to find a space near UST,” adds Wong. The three pooled together their savings and took out bank loans to finance the business. “Three 25-year-old guys putting up this amount of money was a daunting task. We almost gave up. But we talked about it constantly and helped each other to look for the best options—talking to bank managers, friends, and even family members,” recalls Palce. Being first-time entrepreneurs, things also got overwhelming in the beginning, especially since each of them had a day job. “Starting a food business with no background is very hard,” says Pua. As if that was not enough, they had the extra challenge of dealing with a location that gets flooded during the rainy season. “When that happens, we really have to leave [our day job] just to make sure that the store and our staff are okay,” says Pua. But the three friends pulled through because, early on, they made sure each had a major role in the business—whether it’s finance, logistics, or operations— so they could avoid stepping on each other’s toes. The store is now on its second year. Still, the three say that their entrepreneurial journey is just beginning. “We might be young, but we really want to do this together for the long term,” says Wong. As for having another Rufo’s outlet, it’s all about finding a good location. “If we can find another location that’s as good as this one, then why not?” says Palce. Inclusions: Rights to use name, trademark, logo, and systems; site selection assistance; training; pre-opening and opening assistance; operations manual; marketing and promotions support; initial products and supplies; on-going support, business consulting, and field visits, among others. This article was originally published in the September 2015 issue of Entrepreneur magazine. To subscribe, click here.